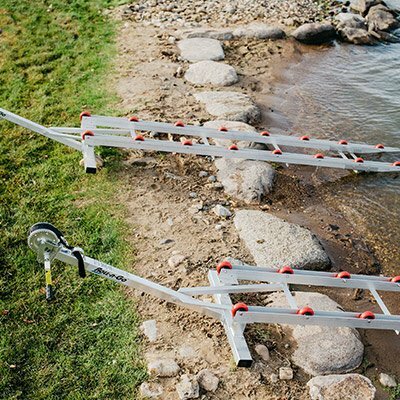 Our customizable, fully-adjustable and easy-to-assemble shore ramp docking kits are the most cost-effective and innovative way to keep your boat docked on shore. 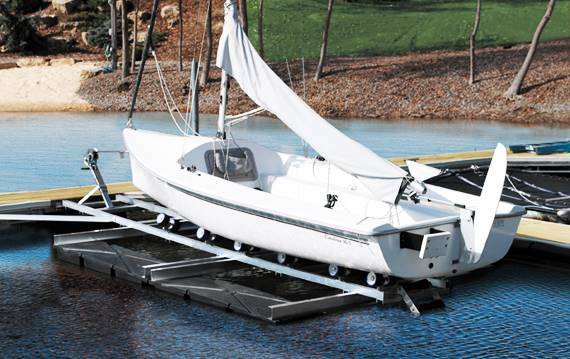 Our Model 2000 shore ramp system comes with full assembly instructions, which will be ready to use in just a few hours! 2,000 lb. 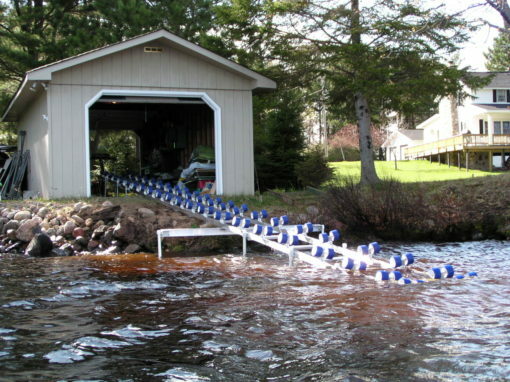 capacity aluminum marine boat ramp. Heavy-duty Roll-n-Go model handles boats up to 2000 lbs. 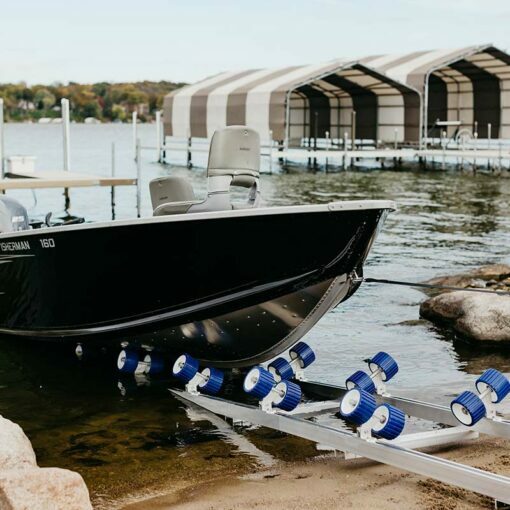 It’s the perfect replacement for cumbersome, in-water lifts. 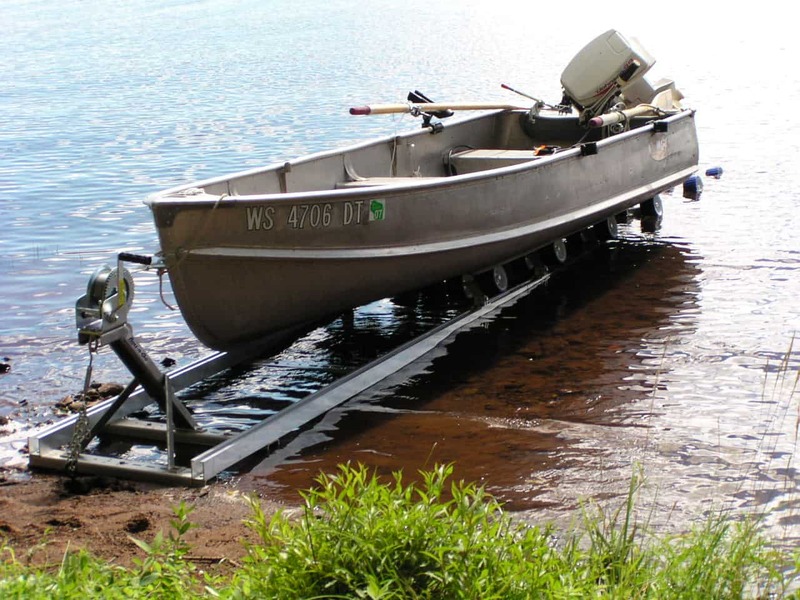 This boat roller ramptypically used for 16’ to 18’ fishing boats, jet boats, etc. 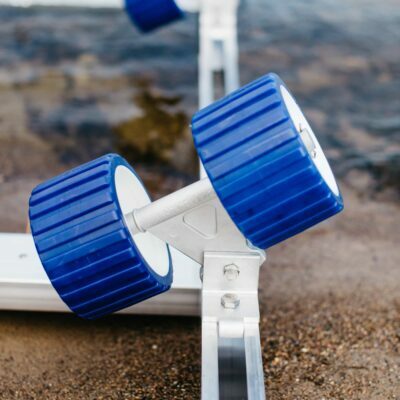 Tilting axles, each with two extra-wide blue urethane wobble rollers, gently cradle any boat hull. 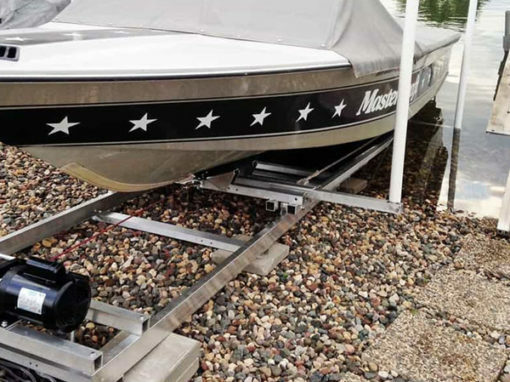 Optional 9’ extension available. The standard 1600-lb. winch with 30’ strap is upgradeable to a 1500 lb. 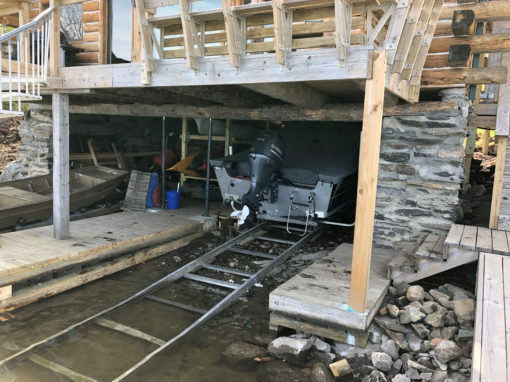 self-braking winch with a 50’ cable. 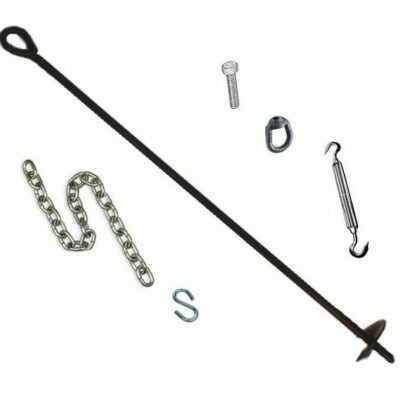 Easy-to-assemble kit includes ground anchor system. 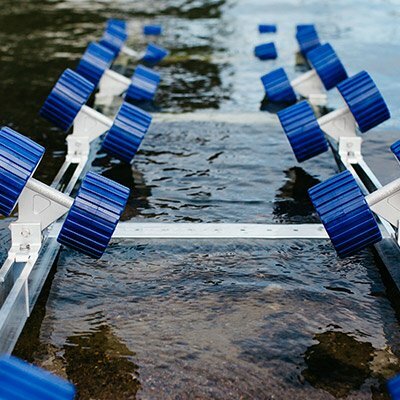 From Roll-n-Go Shore Docking Systems.